‘‘I changed my mind — I’ve talked to [the Sox], and if I’m in town, of course I’ll go,’’ Guillen said before Tuesday’s All-Star Game. ‘‘I don’t know where I’ll be at that time. Last two years during SoxFest, I was in Colombia watching bullfights. That’s a much different attitude than in previous years, when Guillen said he would never attend if former general manager Ken Williams was there or unless the Sox paid him. The change of heart by Guillen, who is still collecting a salary from the Miami Marlins and the Sox, didn’t stop with SoxFest. Sox chairman Jerry Reinsdorf is a New York guy and well-versed in the Billy Martin-George Steinbrenner on-again, off-again owner-manager relationship. 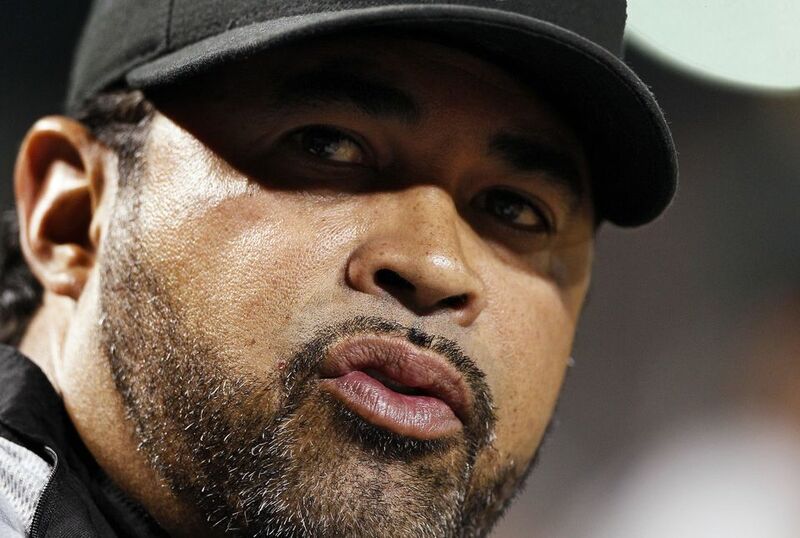 Could Guillen as manager be the future of the Sox? No thanks, once was enough, Oz. Listen, I have nothing against Ozzie Guillen. Hell, I probably owe him quite a bit. When I first began blogging about sports in 2005 Guillen was the manager of the White Sox, and he provided me with plenty of material. Oh, and there was definitely that whole “winning the World Series” thing. I’m eternally grateful to Guillen for helping make it all happen, but I’d really prefer for him not to happen again. The truth is that by the time Ozzie’s tenure with the White Sox came to an end, he wasn’t really a manager anymore as much as he was Ozzie. He was the show, and the baseball team was of secondary importance. Maybe he was just burned out by the grind of it all, but no more so than any of his players were of him. Hell, I was tired of it too. The man is a great quote, and I get why the media loves him, and there won’t be a shortage of media members in this city saying that the White Sox should bring Guillen back. But trust me when I tell you they won’t be saying it because they think it’s actually what’s best for the White Sox on the field. Ozzie Guillen is to the Chicago media what Kim Kardashian is to the paparazzi, in that they’re both the story, even if you’re never entirely sure what it is that they’ve done to get your attention in the first place. And while Guillen had success as a manager, I don’t think there’s anything special about him when it comes to actually running the team. He’s just another manager who is going to win games when his team has talent, and he’s going to lose games when his team doesn’t. And he doesn’t handle losing very well. Just look at his final year in Chicago, and his sole year in Miami. Is somebody who doesn’t handle losing well somebody you actually want running your team on a daily basis when you’re bringing in youth and trying to rebuild? Of course not. So, thanks but no thanks, Ozzie. I’m glad you and Reinsdorf have made up, and I’m thrilled with the idea of you being part of the 10-year anniversary next season (it’s been nearly a decade already! ), as you’re an important part of this franchise’s history and you should be remembered and revered for what you helped accomplish. But if you want to manage again, do it elsewhere. This entry was posted in Chicago White Sox and tagged Jerry Reinsdorf, Ozzie Guillen, Robin Ventura by Tom Fornelli. Bookmark the permalink.